Compare to Uline S-11116 and Save! 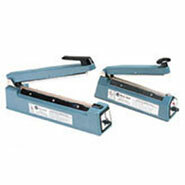 Pre-opened bags on roll help you protect and pack your products more efficiently than with loose packed bags. 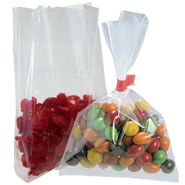 These standard 2 mil automated bags 5" x 5" pre opened bags on a roll are separated by perforations with a one-sided opening making hand or automatic bag loading quick and easy. These 5" x 5" 2 mil automated bags, safe for packaging and storing food products, are similar to Autobag® and meet FDA/USDA specifications.